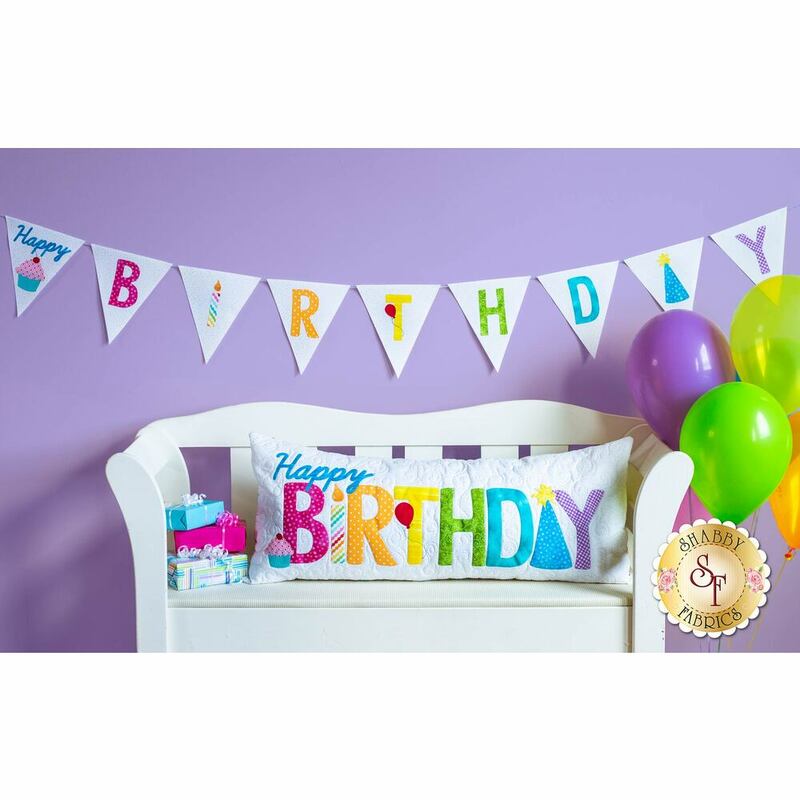 Make your Birthday Boy or Girl feel extra special on their big day with the Shabby Fabrics exclusive Happy Birthday Pennant Banner! 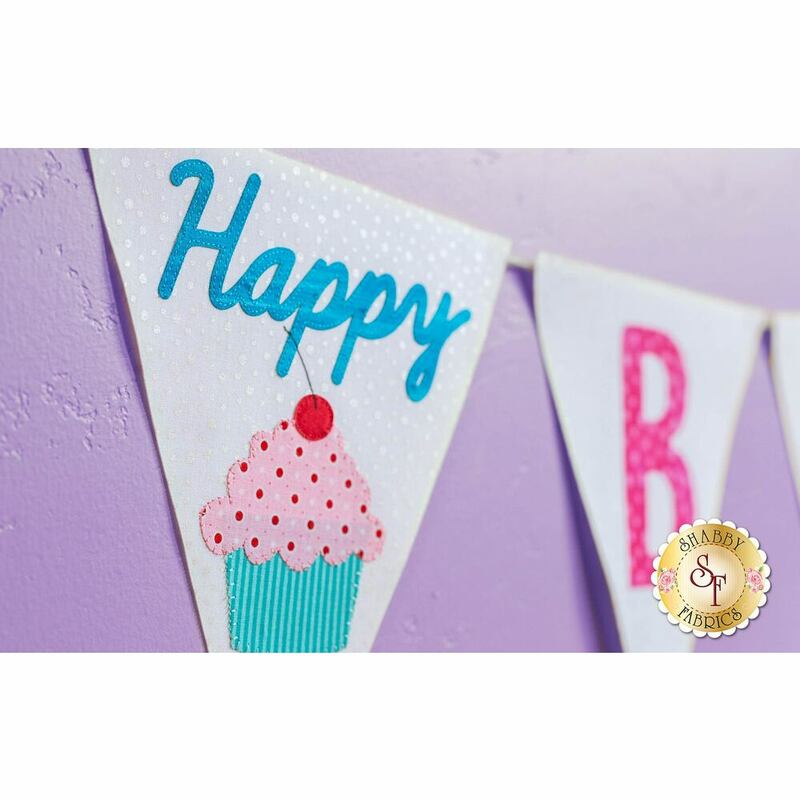 Easy to use pre-fused & laser-cut appliqué pieces spell out "Happy Birthday" in bright and festive colors! 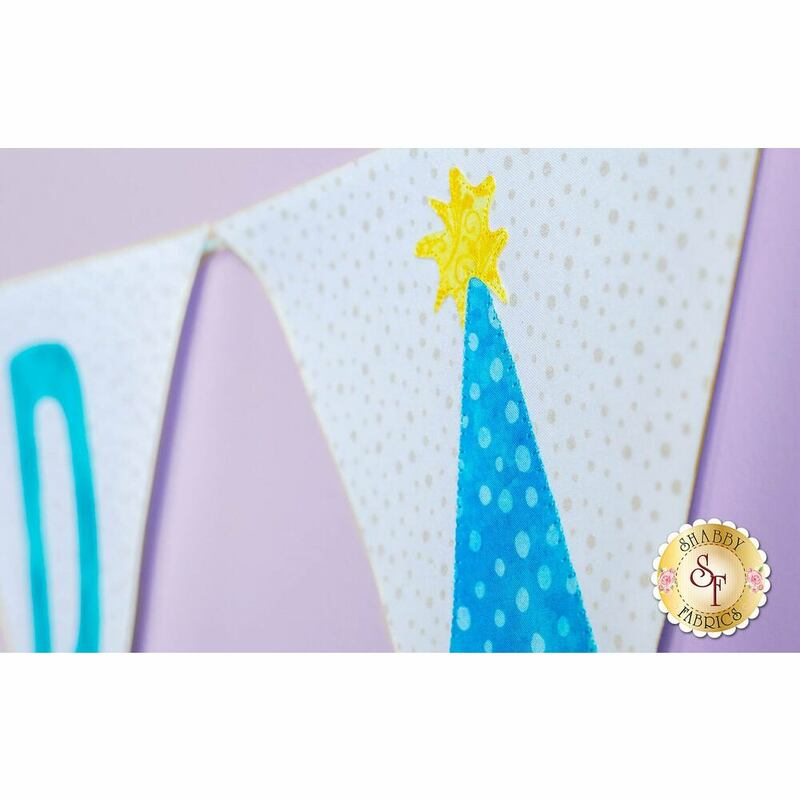 This fun banner is ready to add a festive touch to your family celebrations year after year! 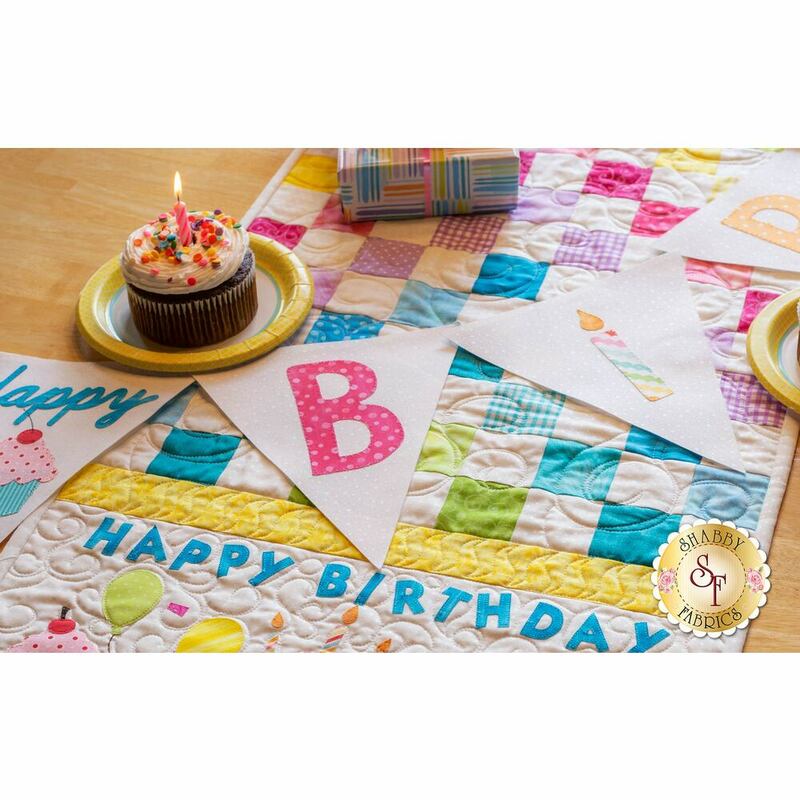 Decorate with the coordinating Cupcake Placemats Kit, Cupcake Wall Hanging Kit, Happy Birthday Wall Hanging Kit, Patchwork Birthday Table Runner Kit, and Happy Birthday Pillow Kit! 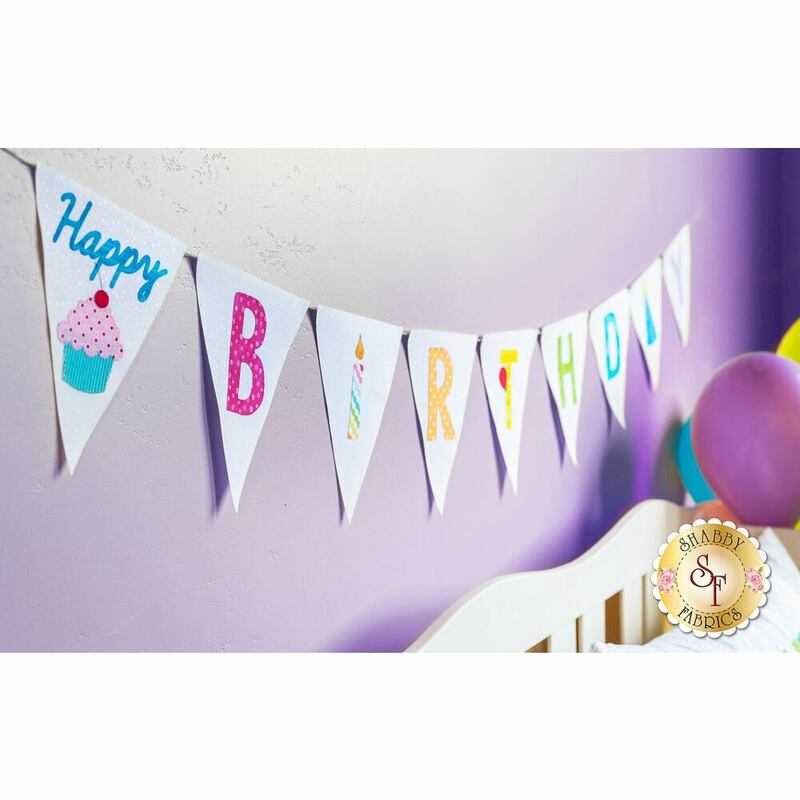 Banner measures approximately 79" long, with each pennant measuring approximately 8" x 9". Ultra-Hold fusible webbing is not included, but recommended for pennants. 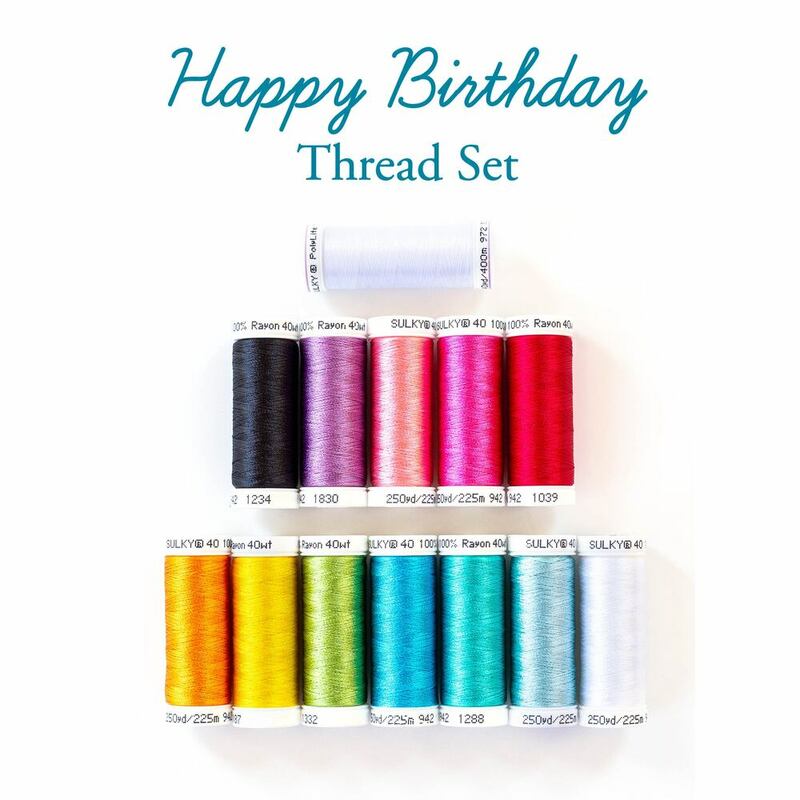 13pc Happy Birthday Thread Set - Coordinated colors for stitching laser pieces!